Sevastian Belo, a music producer from Spain that has recently acquired international recognition for his musical craft, has been signed by major label Warner Music Group. Sevastian is currently producing for MouseMiles, a hip-hop duo from Bosnia and Herzegovina consisting of Jasmin ‘’BIGGA’’ Alić and Vedad ‘’Paparazzi’’ Mešanović, that have recently signed a significant deal with a few producers coming from different parts of the world. One of them is Sevastian Belo, better known as S.Belo. MouseMiles are currently the only hip-hop group in the region that is completely making music in English, despite it not being their native language. Apart from their solo endeavours, MouseMiles have been participants in this year’s talent show, The X-Factor Adria. They have peaked at the Top 24 elimination round in the show out of over 10,000 contestants, representing a unique style of hip-hop, hence bringing a dose of cross-genre flavor for the pop-seduced competition. 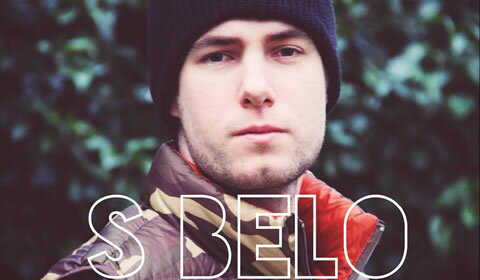 S. Belo, the aforementioned Spanish producer and DJ, joined the MouseMiles family last week by signing to their imprint, which is exclusively partnered with Warner Music Group and MTV Media Group throughout their current label, Mascom Records from Serbia. Sevastian has certainly progressed from his young days as an aspiring beatmaker and DJ, looking for his big chance, mostly throughout social media promotion and other music platforms. Acceptance by the masses has certainly been present, providing S.Belo with millions of spins on his beats and tracks on the internet. Having signed to the MouseMiles family, Belo has certainly reached a new pinnacle in his career by getting the chance to promote his music internationally through major label distribution and by having a chance to work head-to-head with the group members on their new album, contributing significantly with several tracks off the album. ‘’I am very proud and happy to announce that I’ve become a part of a new music family. Lately I’ve been busy with preparing and putting out some new projects, but my new venture is definitely going to be their new album and I’m certainly putting my best foot forward in it, just like these guys are. I was approached by some big labels in the past, but their financial benefits are nothing compared to my creative freedom and the opportunity to work with people that have raw talent and broad views on creativity and music, in general’’, said S.Belo. Next Put yourself on the Map & donate to your favorite green cause!